The Guardian has just published a listicle by Tariq Ali promoting his new Verso book, where he claims Lenin synthesised 'anarcho-terrorism and social democracy'. Rather than read Ali's book for £16.99 why not try some of our extensive collection of free literature on the class character of the Russian Revolution and its aftermath. A remarkable pamphlet by Maurice Brinton exposing the struggles over the running of workplaces between workers and the new state in the Russian Revolution. In doing so it demolishes the romantic Leninist 'history' of the relationship between the working class and their party during the years 1917- 21. It also provides a backbone to understanding why the Russian revolution failed in the way it did. Alongside the Russian workers' attempts to create socialism -- not as some abstract far-off utopia in a political party program, but through confronting and changing the concrete reality of their everyday life -- were the activities of socialist parties, supposedly sympathetic to working class aspirations. This pamphlet tells the story of the Russian workers' struggle, in particular the efforts of the factory committees. Well researched and detailed study of the factory-level impact of the Russian Revolution in Petrograd, dealing in particular with implementation of workers' control by the factory councils.This book explores the impact of the 1917 revolution on factory life in the Russian capital. S.A. Smith traces attempts of workers to take control of their working lives from the February Revolution through to June 1918, when the Bolsheviks nationalised industry. Food riots, mostly by women, during World War I helped spark the Russian revolution. Barbara Engels' article provides crucial information on proletarian women's often ignored role in initiating the revolution. 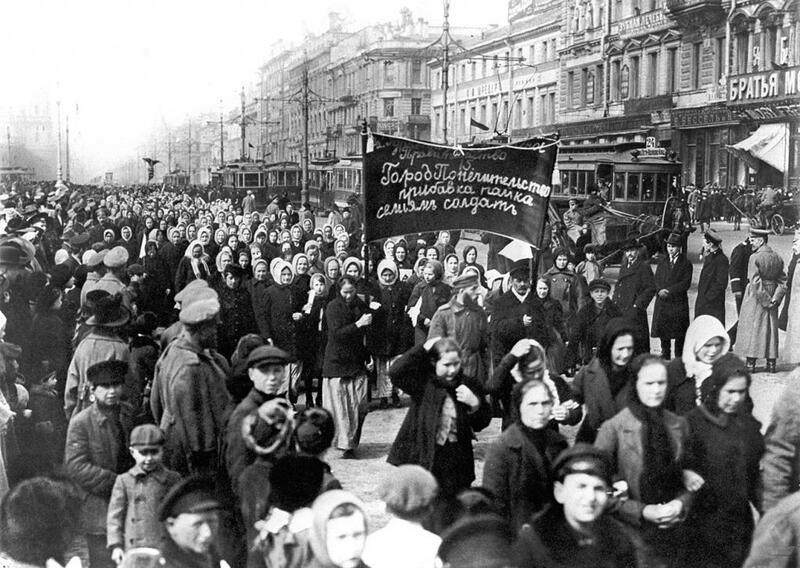 William G. Rosenberg analyses the relationship between the working class and the Bolsheviks between 1917 and 1918, emphasising the role of strikes, protests and demonstrations during the period before and after October. Volin's extensive work on the Russian Revolution, its usurping by the Bolsheviks and on workers' rebellions against the new dictatorship. Volin follows the development of the Russian revolutionary movement from the mid-19th century, through the 1905 revolution and into 1917: the revolution, the relationship between Bolsheviks and anarchists, and, finally, the repression of revolutionaries. Peter Arshinov's definitive history of the revolutionary Ukrainian guerrilla movement led by anarchist Nestor Makhno. 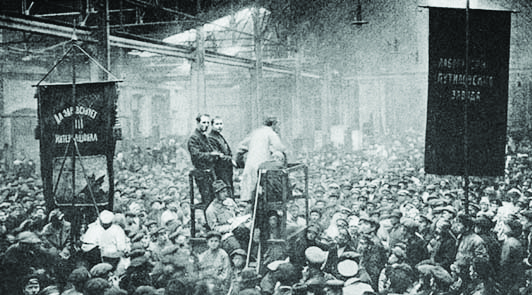 It was in prison in 1911 that Peter Arshinov established a close personal and political friendship with Makhno, which continued after their release following the February Revolution in 1917. 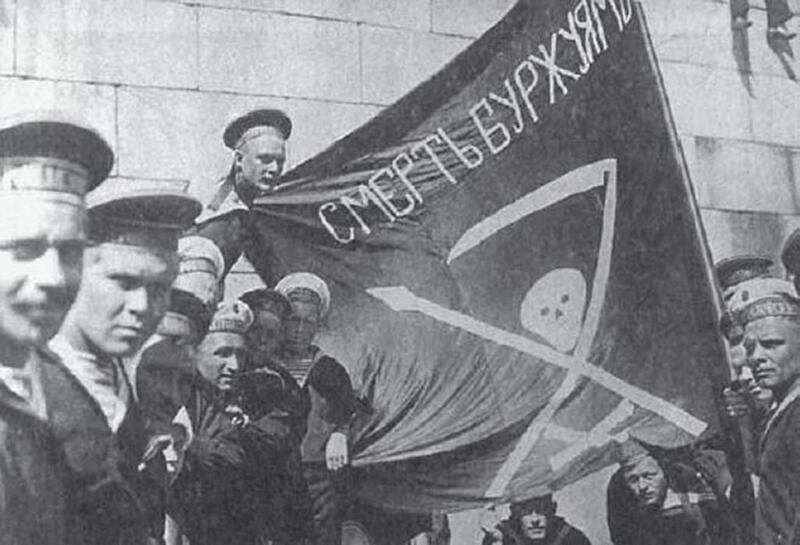 In 1919 Arshinov became Makhno's secretary, and remained with the Makhnovists until 1921. The first major study of revolutionary Kronstadt to span the period from February 1917 to the uprising of March 1921. Israel Getzler's book focuses attention on Kronstadt's forgotten golden age, between March 1917 and July 1918, when Soviet power and democracy flourished there before discussing the controversial events of 1921, Kronstadt's 'third revolution', this time against the Bolshevik regime they had previously fought alongside. 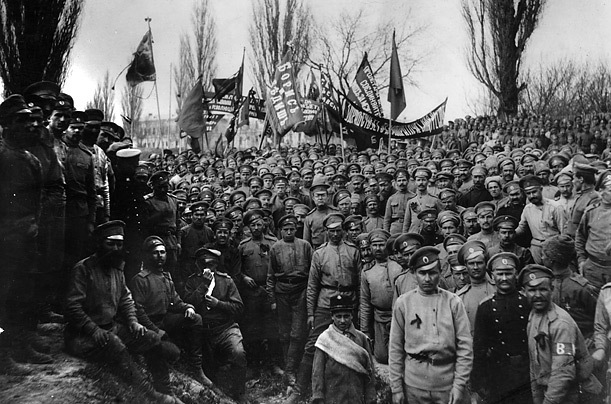 A historical essay by Agustín Guillamón on the transition from Russian Revolution of the Soviets to bureaucratic dictatorship under Stalin, with special emphasis on the period extending from the February Revolution to the period of War Communism. Also, of course, Berkman's The Boshevik Myth and Goldman's My Disillusionment in Russia -- plus the new book To Remain Silent is Impossible: Emma Goldman and Alexander Berkman in Russia by Emma Goldman and Alexander Berkman. Thanks for this informative list! The Bolsheviks seized power as part of a coalition within the soviets, not from them. Actually no. Read the Bolsheviks in Power, etc they clearly stacked the soviets and purposefully tried to dominate them and outlaw opposition parties. Hey - I'm finding it extremely hard to get my hands on Workers' Control and Socialist Democracy by Carmen Sirianni - do you know of any PDFs online? How does winning majority support for your programme count as "stacking" the Soviets? Basically by treating your members as "cadre"and "rank and file" rather than individuals you can win majorities through stacking. By disciplining your members ("cadre") unless they vote your way on all issues (bloc voting), ie. not a free vote or matter of conscience. By disciplining your members if they fail to attend. By telling non-members voting against you to leave. By suppressing those voting against through scorn, threats or making them illegal. By being selective on participating in bodies only where you can win majorities ie. gerrymandering. By winning majorities in order to prevent minorities becoming majorities in future. Generally excluding and marginalising opponents rather than encouraging democratic participation. Of course socialists fundamental program is democracy so they don't do this stacking, unlike the Bolsheviks.